How does a Taiwanese bank achieve rapid growth and global expansion while adapting to the challenges of the VUCA environment and digital transformation? That was the multi-faceted challenge facing CTBC, the largest privately owned bank in Taiwan with subsidiaries and offices across Asia and in key global cities. The bank sought an executive education partner to help them develop a diverse and constantly evolving set of learning options to ensure their leaders always had the most advanced knowledge of digital business trends, strategic thinking, business model innovation, change management, and global leadership. Department heads attend two customized programs each year. This gives them new insights every six months to enhance their strategic thinking and leadership skills. Master Forums are offered two or three times a year for all levels, from top leaders to junior talent, to provide updates on applying the latest business advancements—such as global political and economic trends, neuroscience, blockchain technology, and artificial intelligence—to the banking industry. 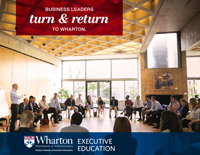 A select group of CTBC leaders with relevant expertise also attend Wharton Global Forums to network with other top global executives and gain insights from Wharton faculty. To prepare individuals for specific new roles, CTBC also sends key talent to a variety of Wharton’s Open Enrollment Programs to build their expertise in targeted areas. 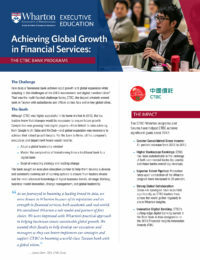 The CTBC-Wharton customized programs take place at the bank’s head office in Taipei, and bring together managers from countries such as Indonesia, the Philippines, Thailand, Vietnam, Singapore, India, Japan, U.S. and mainland China. Greater Consolidated Gross Income: 81 percent increase from 2012 to 2017. Higher Bankscope Rankings: CTBC has risen substantially in the rankings of both commercial banks (by assets) and Asian banks overall (by revenue). 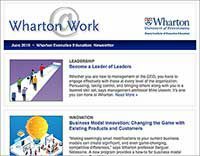 Superior Talent Pipeline: Promotion rates upon completion of the Wharton program have increased to 20 percent. Strong Global Collaboration: Cross-silo synergies have expanded significantly as CTBC leaders from across the world gather regularly to share Wharton insights. Innovative Digital Banking: CTBC’s cutting-edge digital banking earned it the Best Bank in Asia designation in the 2018 Financial Insights Innovation Awards (FIIA). Senior leaders have been so impressed with the competitive advantages CTBC gained from applying the Wharton insights; they look forward to continued deep cooperation in talent development.